Warm air unit repairs, servicing is another type of the services we offer. We have warm air unit specialist who can get you out of trouble for an emergency issue for example warm air heating breakdown or non-emergency issues such as gas safety certificate / gas landlord certificate for warm air heating system, or warm air unit servicing that required all 24 hours all over all London, Bromley, Enfield, Westminster, Romford, Croydon, Twickenham, Uxbridge and in all these postcodes. Do you know enough about what warm air heating system? 1. Warm air system is old technology and some manufacturers don’t even make it anymore. 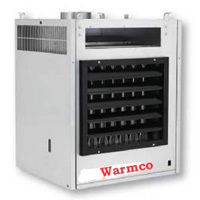 However, we know a good leading manufacturer who can provide you warm air unit if needed. 2. It’s very difficult to find engineers or experts who would know how to repair warm air unit, some heating engineer just won’t even touch it at all! 4. Some engineers out there don’t think that you replace get a warm air unit replaced. The fact is you can replace your warm air unit with a new improved model or you can have radiator instead. New warm air unit is more efficient, much quieter and in fact far more efficient! 8. Don't confuse warm air heaters of the 20th century with technology of the 21st century. Modern warm air heaters with electronic controls provide stable room temperatures, excellent comfort conditions and greater fuel efficiency. We have good relationship with a leading manufacturer of Warm air units (Johnson & Starley) so our reliable warm air unit specialists from Advanced Professional Plumbing & Heating Services and Johnson & Starley can give you all support you need with all warm air unit problems.